You will never look at luxury sedans the same way again, once you have gotten to experience the new INFINITI Q50! 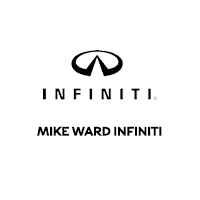 The designers at INFINITI wanted to create a sedan that you want to drive all the time, featuring amazing performance and must-have interior technology. With the Q50, the combination of power, luxury and functionality create the ultimate luxury sedan that your fellow drivers will be jealous of! Performance on the INFINITI Q50 is dependent on the version of the sedan you decide to purchase. The PURE model is fitted with a 2.0L, inline 4-cylinder engine that is also turbocharged for 208-hp. The LUXE and the SPORT models come with a stronger 3.0L, twin-turbo V6 that gets up to an impressive 300-hp. Finally, the RED SPORT 400 comes with a more powerful version of the 3.0L, twin-turbo V6 that gets an astounding 400-hp! All the Q50 models can either be RWD or AWD, letting you choose the best maneuverability and overall handling experience you want in your luxury sedan! In the case of the AWD, you get the unique Intelligent AWD system which continually senses and changes to the conditions the Q50 is currently experiencing. Luxury is exemplified in each version of the 2019 Q50, thanks to the designers wanting drivers to enjoy each drive. The baseline PURE model has great comfort technology standard like dual-zone climate control and eight-way powered front driver and passenger seats! Upgrading to the LUXE version gets you a powered moonroof and gorgeous maple trim along the interior! The SPORT really ups the game with its addition of the BOSE® 16-speaker audio system, as well as extremely comfortable sports seats that are adorned with leather! If you want a truly unique interior, the RED SPORT 400 is outfitted with sleek Dark Chrome accents and specialized RED SPORT paddle shifters! Both the SPORT and the RED SPORT 400 combine their individual additions with all the great features found on the 3.0t LUXE model as well. Getting behind the wheel of the INFINITI Q50 surrounds you with a variety of advanced and reliable safety technology. Every model of the Q50 is standard with Predictive Forward Collision Warning, which will alert you when something in front of you changes, possibly resulting in a frontal crash. This is also coupled with the innovative Forward Emergency Braking system, making sure your chances of a front-end crash are greatly reduced or even eliminated! The Q50 also has highly advanced Intelligent Cruise Control, monitoring the traffic around the Q50 and adjusting its speed accordingly. Enjoying a ride on the highway or in the city has never been more peaceful thanks to the incredible safety technology found on the INFINITI Q50!